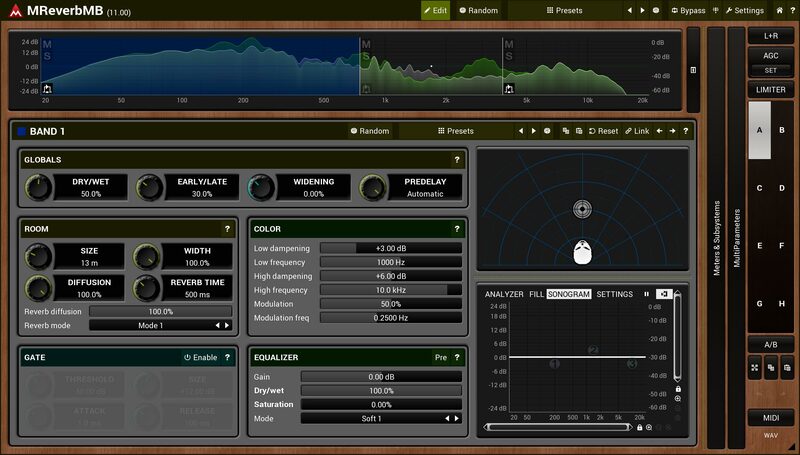 MReverbMB extends possibilities MReverb and other standard reverbs by processing in up to 6 distinct bands. 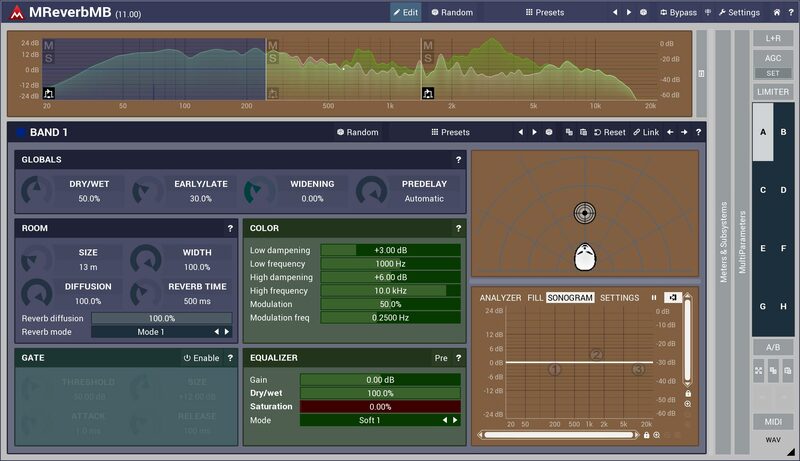 Spatial positioning system: using a simple view you can easily drag the sound source and MReverbMB will set all required parameters to make it sound like it is in specified room and position. 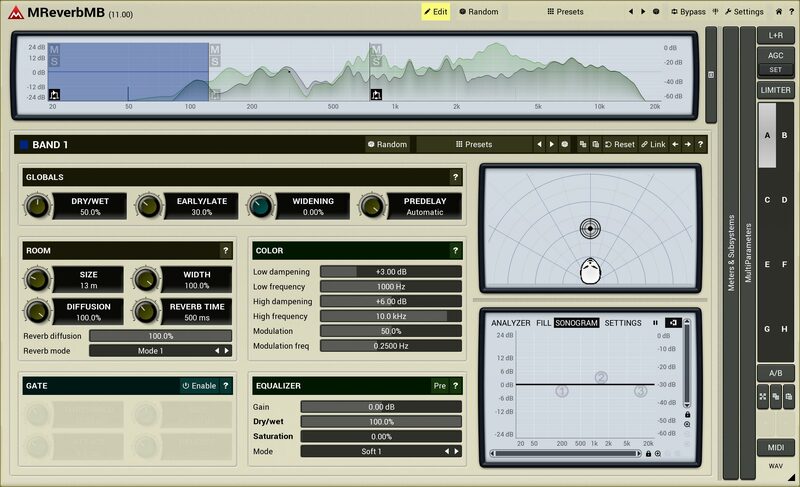 4 global modulators: in each instance you can have up to 4 modulation full-featured LFO, that can modulate any parameter including other modulators. 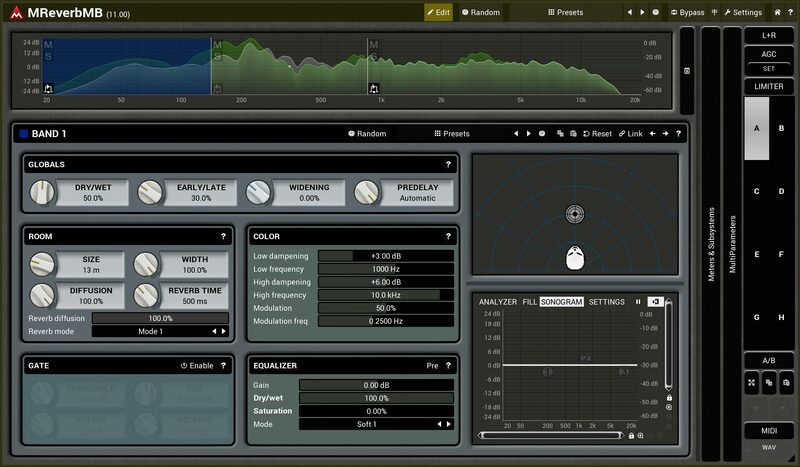 This way you can make the sound move in time, be less static and more interesting. 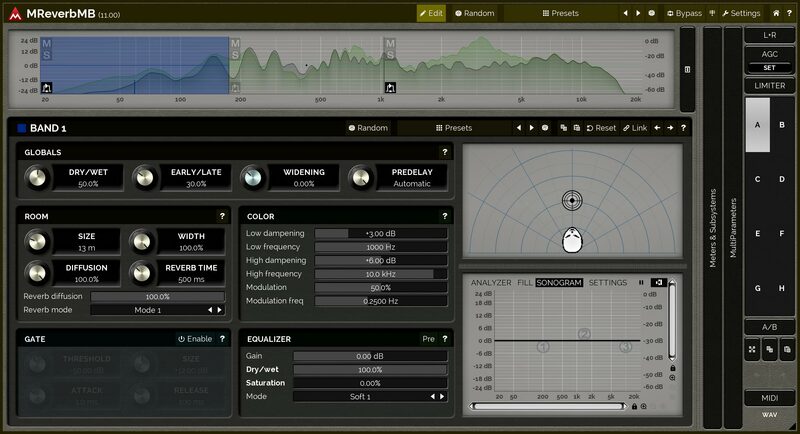 Fully algorithmic and true stereo reverb: MReverbMB does not need separate plate, hall, and room algorithms. 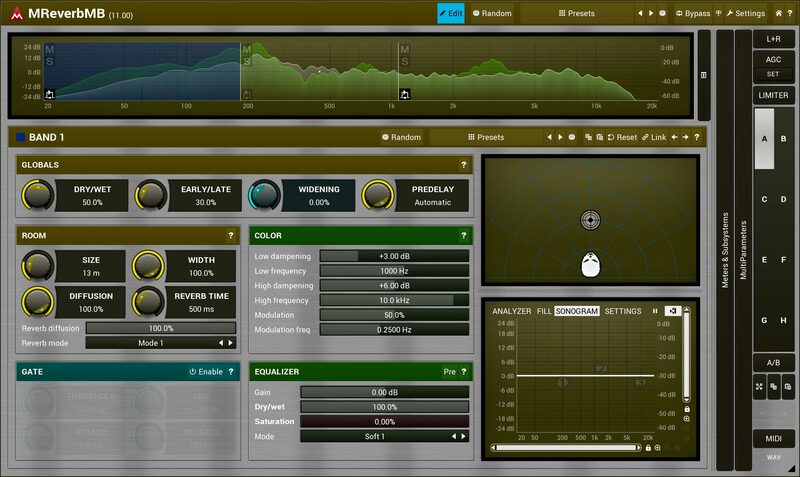 Instead it has a huge set of intuitive parameters that allows you to easily emulate any given reverb characteristic. 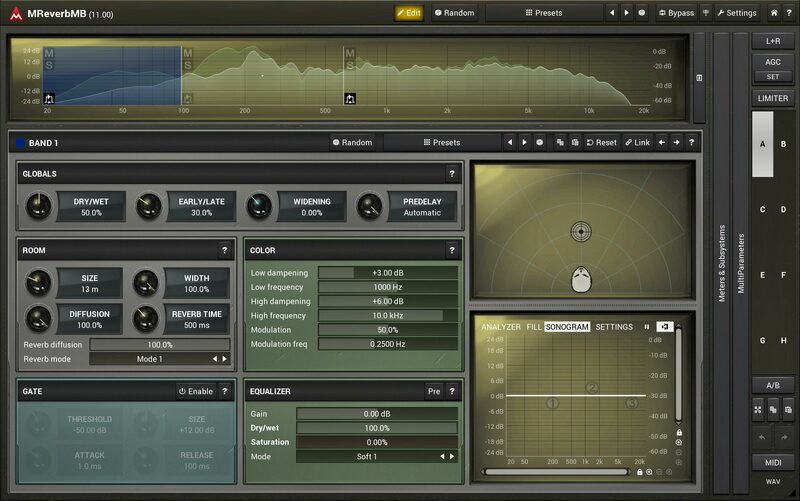 Anything from small rooms to extremely large halls with almost infinite reverb tails. 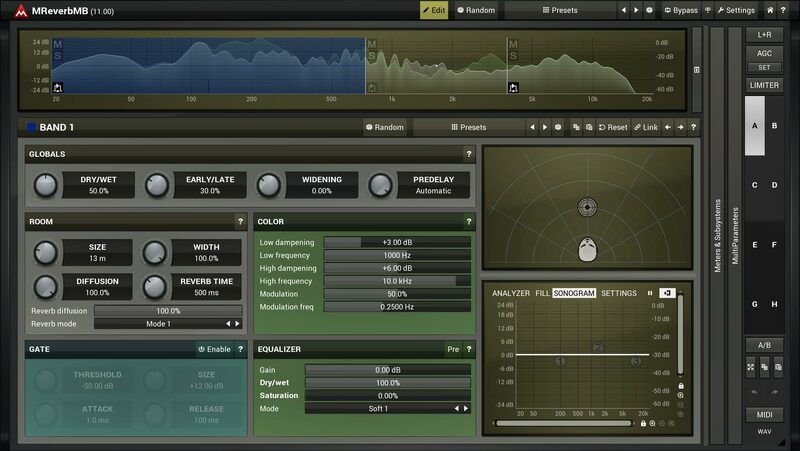 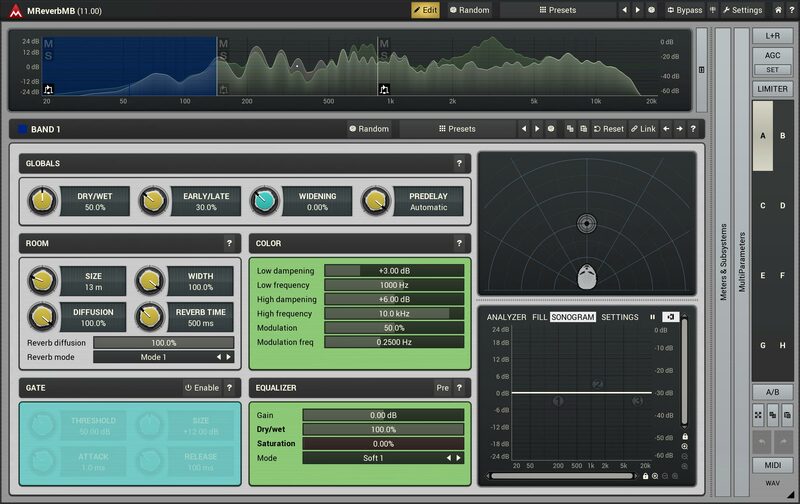 64-bit processing and unlimited sampling rate, recommended maximum is 384kHz. 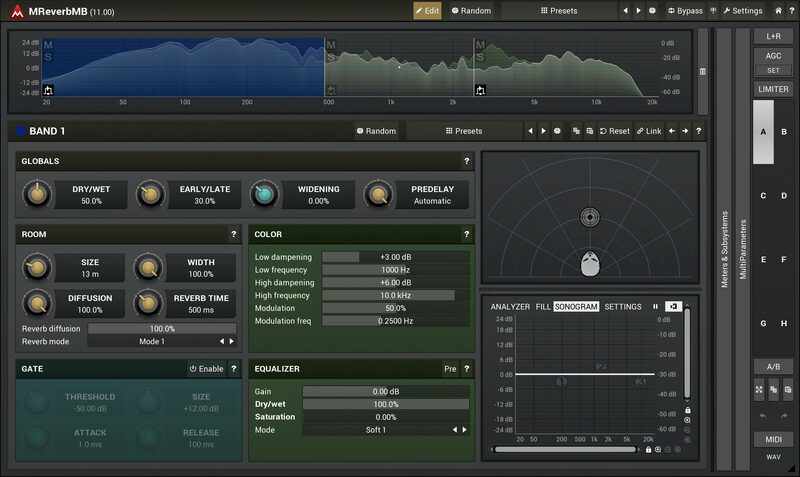 MReverbMB has low harmonic distortion.